The post What to Know About Helping (or Adopting!) Deaf Dogs by Nancy Hassel appeared first on Dogster. Copying over entire articles infringes on copyright laws. You may not be aware of it, but all of these articles were assigned, contracted and paid for, so they aren’t considered public domain. 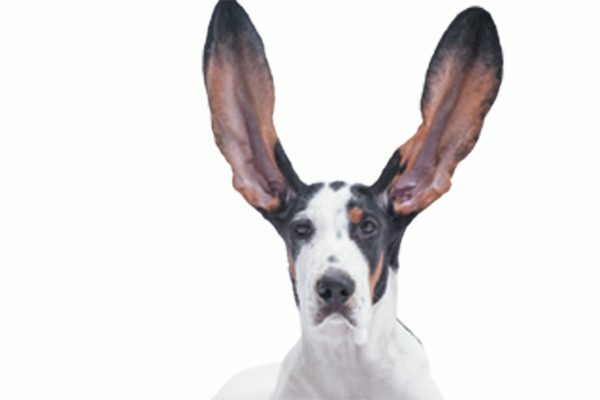 However, we appreciate that you like the article and would love it if you continued sharing just the first paragraph of an article, then linking out to the rest of the piece on Dogster.com. Have you ever thought about adopting a dog that might be overlooked because he can’t hear? As you’ll see, there are many organizations that help make life better for our deaf and hard-of-hearing four-legged friends. 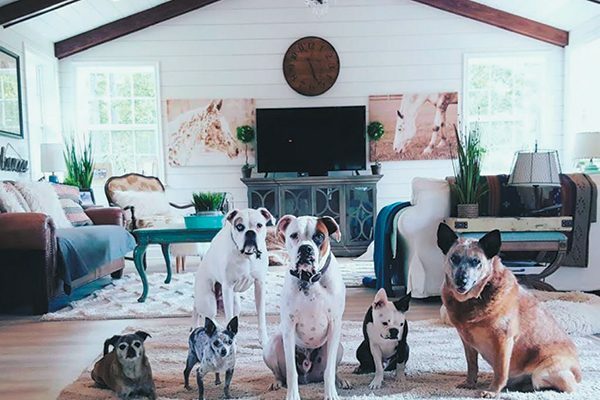 Christina Lee and her husband, Chris, have four deaf dogs: Nitro (Boxer), Bud (Boxer), Bowie (Boston Terrier) and Cornell (Heeler) and two hearing seniors: Tallulah (a Chug) and Pepe (Chihuahua). Photography courtesy Christina Lee. Not only was Nitro — who is now 8 — one of Christina’s first foster failures, but he is the reason she started Deaf Dogs Rock. In August 2011, Christina launched the Deaf Dogs Rock website to educate other pet parents with deaf dogs and help find homes for displaced and shelter deaf dogs. Now Deaf Dogs Rock helps shelters across the country by listing their deaf dogs on the website. It also has informational videos on caring for deaf dogs. Deaf Dog Rocks became an official nonprofit organization in 2014 and has since been raising money to help deaf dogs get out of shelters, into foster care and eventually adopted. To date, the organization has sponsored almost 400 deaf dogs within their partner rescues nationwide. There are many breeds on the Deaf Dogs Rock website available for adoption, and the website has helped more than 3,000 deaf dogs find homes throughout the country. Thinking about adopting a deaf dog? “Spend some time on our website,” says Christina. “We have a tremendous amount of information on how to properly care for your newly adopted deaf dog. 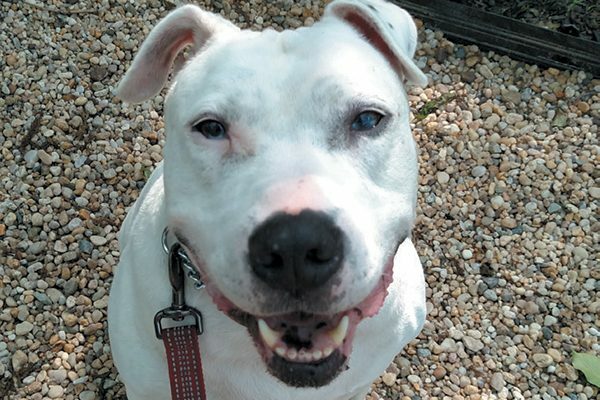 Deaf Dogs Rock gets about three adoption listings and two to three requests for help daily. Check out Deaf Dogs Rock’s Facebook page to learn more about deaf dogs and deaf dogs in need of help. Norman has learned just about every command through hand signals. Photography courtesy Susan Johnson. Norman was in a municipal town shelter for two years. He is deaf and a Pit Bull — not the easiest dog to adopt, but those are the two things that made Andrea Gallo fall in love. A volunteer at the Town of Islip Animal Shelter, Andrea remembers when Norman first arrived at the shelter. Found on Long Island, New York, in a hole in a field with bungee cords wrapped around him, someone saw Norman and called the animal shelter. When animal control got there, they whistled and called out for him, but they got no response. Eventually they found him. The animal control officers thought he was deaf, and they did informal testing at the shelter, making noises and banging dog bowls. Norman didn’t respond. Andrea was a new volunteer when Norman was brought in, and the trainer on staff noticed her interest in Norman. The trainer showed Andrea the sign for “sit” with hand signals she was teaching him, and Andrea became Norman’s volunteer. She wanted to adopt Norman, but had a dog-reactive Husky, Kozy. Their initial meet and greet didn’t go well. With permission from the shelter director, volunteers with the liaison nonprofit working with the shelter at the time took Norman to Andrea’s neighborhood, and they walked the dogs together at least 15 times to get them better acquainted. With time, patience and perseverance, the two dogs ended up being buddies, often napping together. Kozy passed away in 2016, and Norman is now the king of the household. Educated in dog training, Andrea trains for clients and still volunteers at the shelter. You can follow Norman’s (aka NormButt) daily antics and adventures on Instagram. Deaf dogs make wonderful pets. Photography ©walik | Getty Images. Think about adopting a deaf dog, as they can be easily overlooked and thought of as being difficult to train. You can see from both of these stories that deaf dogs make wonderful pets. Have your own deaf dog? Make him a deaf-dog influencer on social media or locally in your community to show people that they make wonderful pets — and are just regular dogs after all. Find out if your local animal shelter works with any organizations that help with deaf dogs. Let staff know about organizations like Deaf Dogs Rock and Deaf Dogs Rescue of America. Thumbnail: Photography ©Azret Ayubov | Getty.